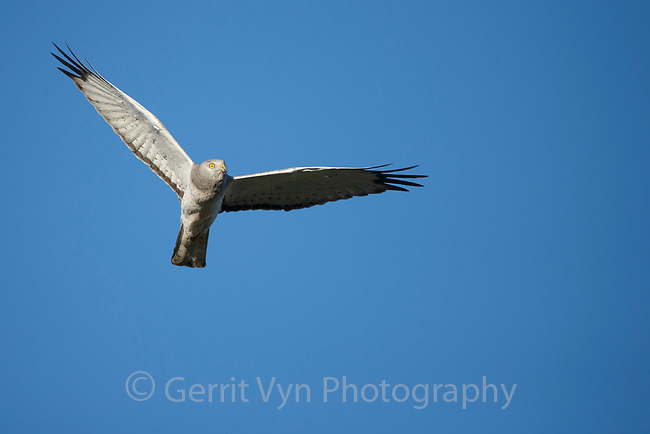 Male Northern Harrier (Circus cyaneus) in flight. Sublette County, Wyoming. May.